REPORT SAYS NOBODY FEDERAL IN BRITISH COLUMBIA IS INVESTIGATING MONEY LAUNDERING Gathered by RegTech Post Staff. Scroll to bottom for link to original source. If there is one thing that financial crime analysts agree upon, it is that one province in Canada has become one huge playground for international money laundering. From Chinese organized crime syndicates using British Columbia casinos to dodgy expats buying up pricey local real estate, money from abroad, as well as drug profits of local origin, finds a home in BC Canada. Now we know one of the reasons why; There’s nobody in the field working cases. Peter German QC PhD, a prominent former executive in the Royal Canadian Mounted Police, in a report made public recently, disclosed that, in the RCMP E Division money laundering team, of the 25 ostensibly funded positions, only 11 are filled, and only five of those are actually working as investigators; the other 6 are shown as away on training or absent for other reasons. To quote the report, “In the course of this review, we learned that there are currently no Federal (RCMP) resources in BC dedicated to criminal money laundering investigations.This is particularly alarming when one considers that the issue of money laundering has been front page news in BC for almost two years.” Chapter 6-4, Criminal Investigation, P.2, An Independent Review of Money Laundering in B.C. 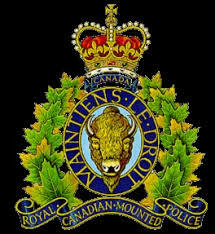 The blame appears to be, in part, because of a $500m budget cut imposed upon the RCMP, causing a manpower shortage, and the lack of experienced financial crime investigators. We sincerely hope that Canada will quickly remedy these shortcomings, to interdict the rampant money laundering operations that are infecting British Columbia. Wake up, Canada. Previous articleThe hacker behind Matrix.org hack offers advice to improve securitySecurity Affairs Gathered by RegTech Post Staff. Scroll to bottom for link to original source. Next articleAttackers hacked support agent to access MS Outlook email accountsSecurity Affairs Gathered by RegTech Post Staff. Scroll to bottom for link to original source.